The Dutchman should take his chance to join FC Barcelona. The best place for him right now. The reports of Dutch center back Matthijs de Ligt leaving Ajax have been emerging ever since he put on the string of brilliant performances, winning the Golden Boy award in the process. The 19-year-old has been linked with teams like PSG, Manchester United, and FC Barcelona in the near past. The Dutchman is already a starter in the national side alongside Virgil Van Dijk in the defense. With the huge set of skills that de Ligt brings to the table, it will be good for his career if he moves to a big club, ASAP. Any top club would be willing to splash the cash on the youngster and also pay him well enough. What de Ligt should keep in mind is to play in a good league such as EPL or La Liga rather than playing in Ligue 1 for PSG. 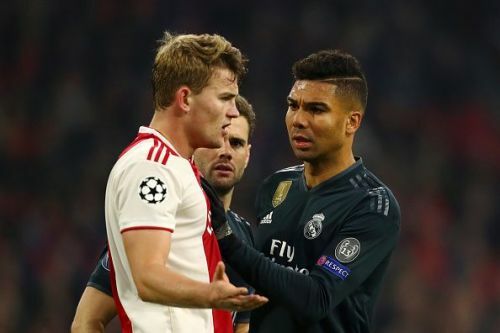 Here are three reasons why de Ligt should sign for FC Barcelona and possibly reunite with Frenkie de Jong at the club. The 19-year-old smothered Karim Benzema in the second leg of the UEFA Champions League. The same style of play is employed at Barcelona. Pocket him again, huh? 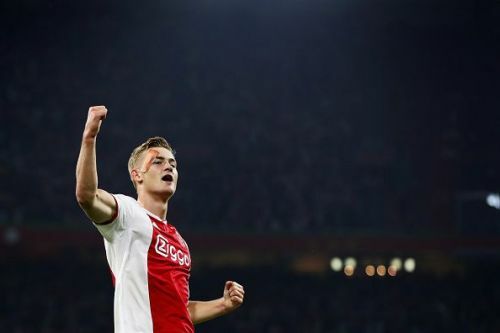 The 19-year-old defender won the Golden Boy award in 2018 playing for Ajax. The Dutchman has been a revelation at Ajax and his playing style under Erik Ten Hag and under Ronald Koeman at the Netherlands National Team has been almost the same. Both the coaches follow the philosophies of Johan Cruyff in their tactics and style. Barcelona has got Cruyff's style instilled in the club although under Valverde there has been more defensive rather than an attacking style of game. Even under Valverde, one thing that has been constant is the high defensive lines and playing from the back. de Ligt is used to these tactics. Erik Ten Hag's Ajax and Koeman's Netherlands both depend on defenders who can handle the ball well. Ajax's play also depends on high defensive lines to a certain extent although Barcelona pushes it up even higher. de Ligt would have no problems adjusting to the style of play and philosophies of Barcelona unlike at Liverpool or Manchester United. This is one of the main reasons that the Dutchman should choose Barcelona over others.